Why the special packaging for these three varieties? We think you’d appreciate a case for the bar. 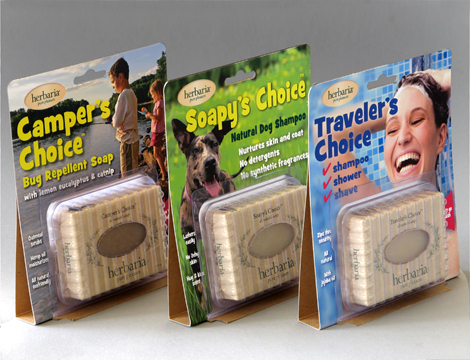 Our sturdy Stow ‘n Go Soap case is a clear, reusable plastic clamshell. 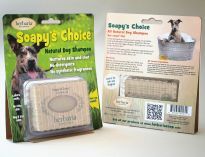 It is vented so soaps dry out between uses. These can stand up on a shelf or may be hung. 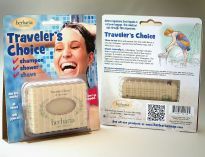 Otherwise, these are the same Camper’s Choice, Soapy’s Choice and Traveler’s Choice bars we sell in our regular wrappers.